Kiawe wood is one of Maui’s densest wood and can be found on the dry side of the island at ocean level. It is a member of the Acacia family and was introduced to Hawaii when the islands were colonized. 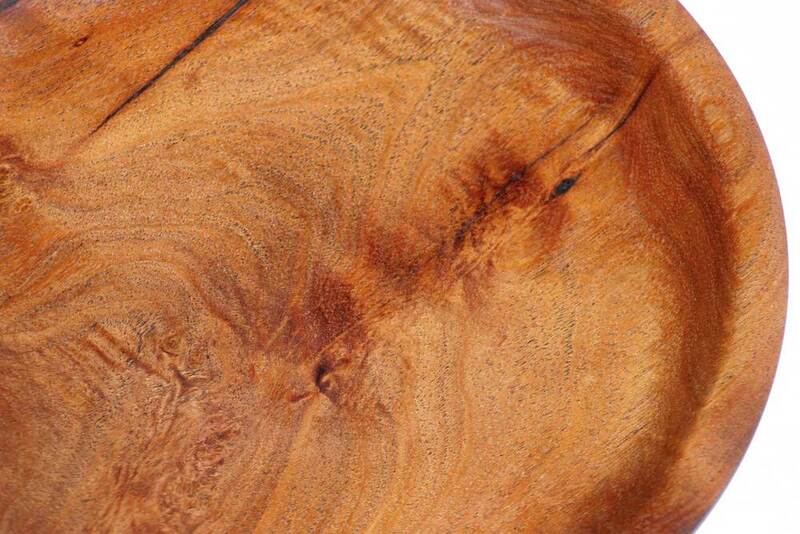 Kiawe wood, also known as mesquite, is widely used for bar-b-ques and fire wood. Kiawe wood has a beautiful golden brown color and is the most durable of woods. Because it is such a hard wood, it takes a long time to work with it. The rewards of the finished product are well worth the effort though. It is usually too heavy and off center to use on the lathe, unless it is a small piece which can be made into a small plate. It is a favorite wood of Cain's for carving though because it is like carving stone. It is slow going, but it’s hard to make a mistake and when it’s done, it doesn’t ding or dent. It’s solid.